Dr John Lewis to catch up with the latest in Amur leopard and tiger conservation. In order to stay engaged with the Amur leopard reintroduction project as it moves in to the next phase (breeding and/or rearing leopards for release), John will be meeting the Director of the reintroduction centre in Laso. While getting a feel for the terrain proposed for reintroduction and the seeing the release area itself, they will be discussing the veterinary aspects of captive management of the leopards and disease risk and mitigation. 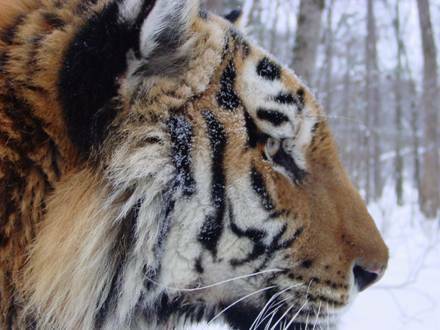 WVI has agreed to provide veterinary support for the Alexyevka Tiger and Leopard Rehabilitation Centre and has been doing so for some time by providing online advice to vets like Misha. Visiting the Centre and meeting the Director will enable John to assess how the centre is run, what sort of problems they might meet and how exactly WVI can assist them. This includes reviewing SOP’s dealing with orphaned and injured/sick leopards and the provision of equipment and expertise. The “Land of the Leopard” is the largest protected area for the existing Amur leopard population. John has been invited to meet the Director to discuss how to manage disease issues that wild leopard face amongst other things. WCS Russia has been WVI’s Partner in the Field in Russia since we started in 2006. No visit to Russia would be complete without a meeting with Dale Miguelle, Director of WCS Russia Program. They will have further discussions about the practicalities of the Amur leopard reintroduction and a potential new tiger project in China. So no camping in the forest this time (it is -10 to -20 °C) however, vitality important meetings to enable WVI to continue support throughout the year. WVI believes that continuity and long term engagement in programmes are two key pillars of our approach. Dr John Lewis's bedroom in November 2007[/caption] WVI would like to thank the following organisations and people for their long term support of our Amur leopard and tiger conservation activities.